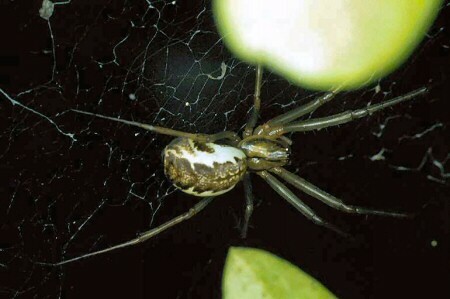 This is a very large family with more than 4289 species (June 2004) in 540 genera worldwide. 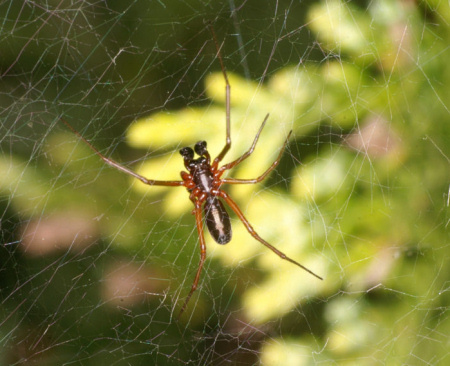 In our region there are more than 300 species. 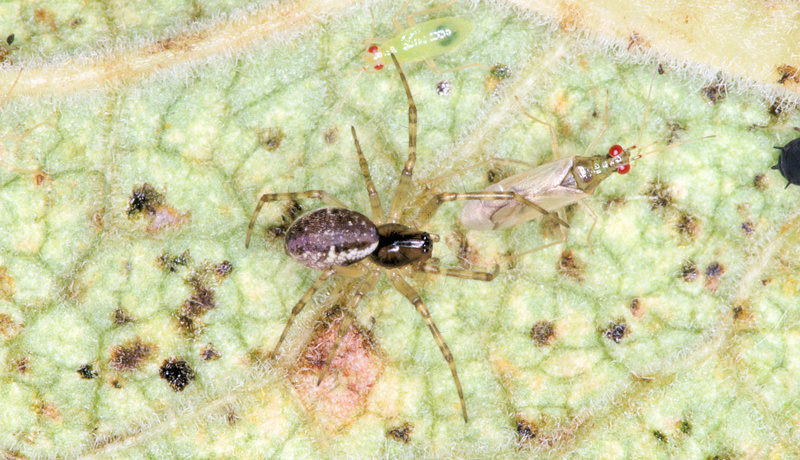 Most of them are too small to recognize in the field. 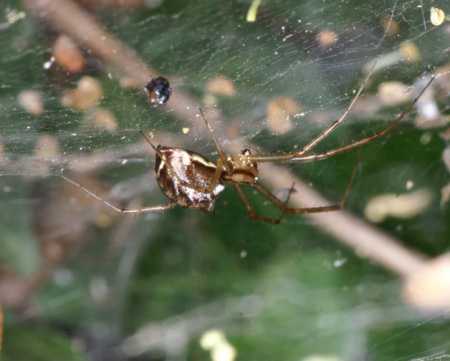 Most of the spiders of this family weave sheet like webs and the spider hangs under the web. Above the sheets the spider inserts scaffolding of threads. 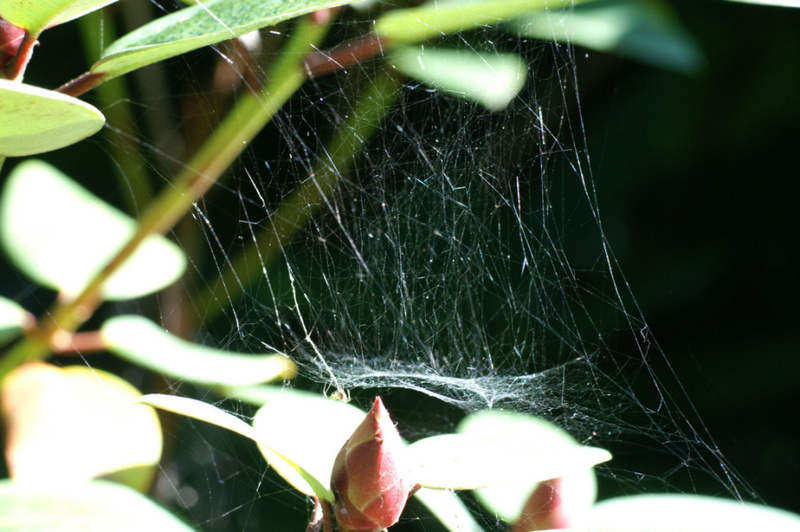 Insects fly against these strands and falls onto the web where they are caught. 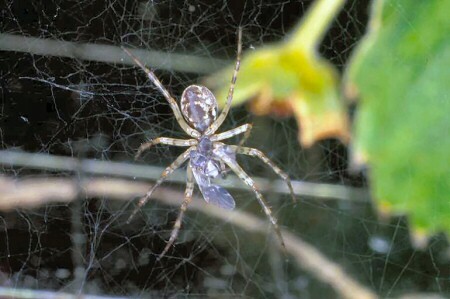 The spider bites through the web to paralyze her prey. 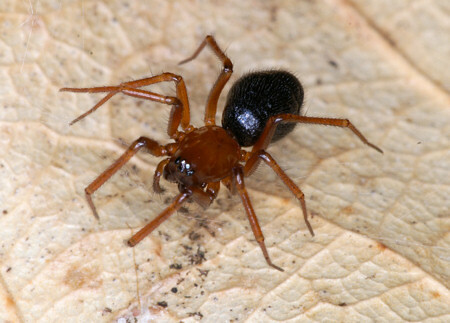 They are referred too as dwarf spiders. 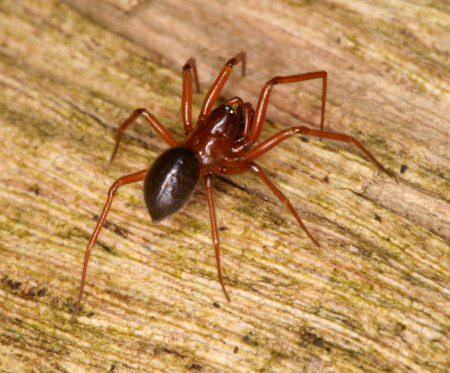 In the British Isles, they are called money spiders. 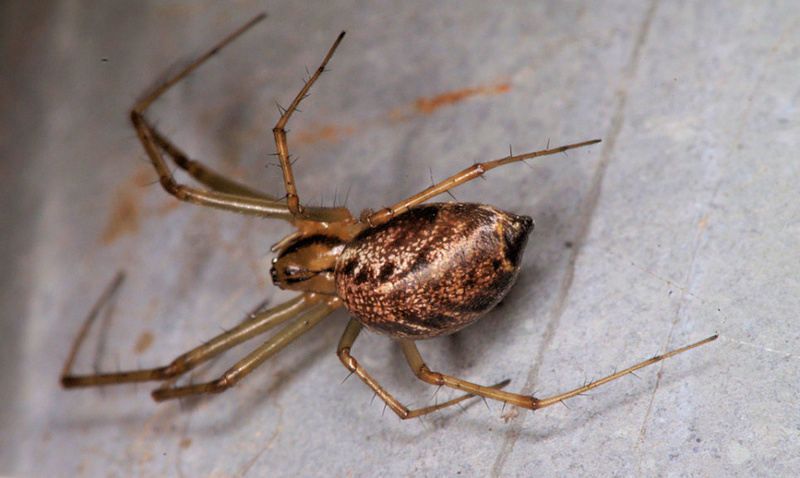 Nearly half of the spiders in Europe are member of this family. 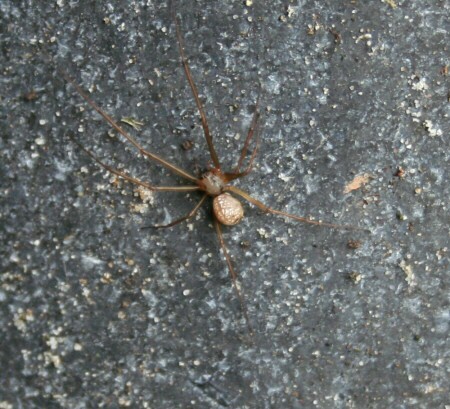 Their size is between 4 - 10 mm. Most of them have dark colours. Members of this family occupy almost every spot on the world, from the Himalaya to beaches, from Antarctica to the tropical forests. 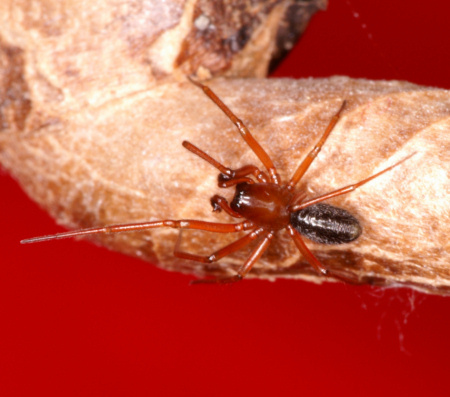 They reach these places because the spiders can fly by wire, called "ballooning". 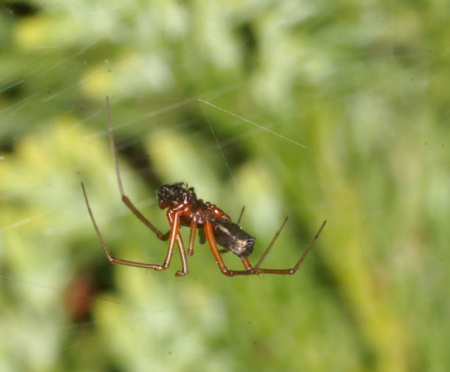 The spider raises her abdomen and releases a thread in the breeze that grows longer and longer until the upward lift is sufficient and the spider is lifted. 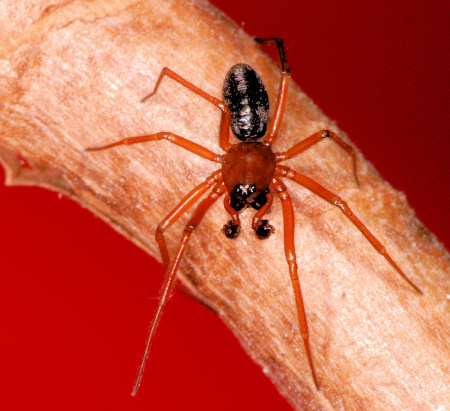 They can reach heights of up to 10000 meter and are transported to every spot on the world. 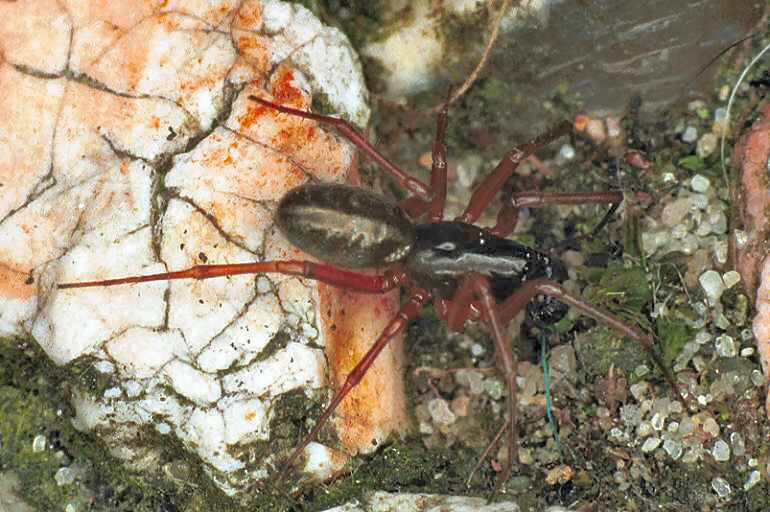 They are often one of the first inhabitants of a devastated area like after the eruption of the Krakatau in August 1883. 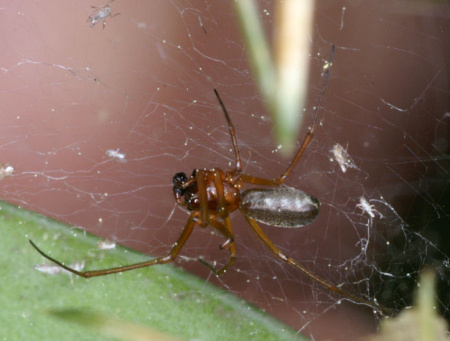 In May 1884 scientist already reported microscopic spiders spinning their webs. Gossamer is connected with ballooning and the word comes from "goose summer". 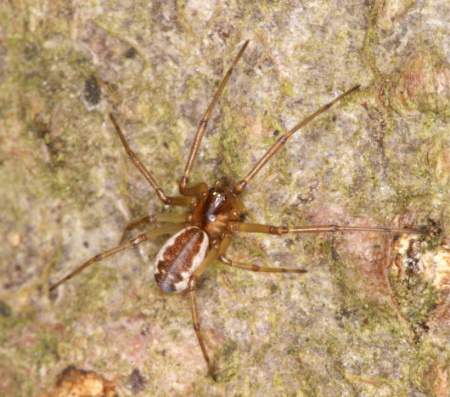 It is the moment that millions of spiders are taking off or landing. 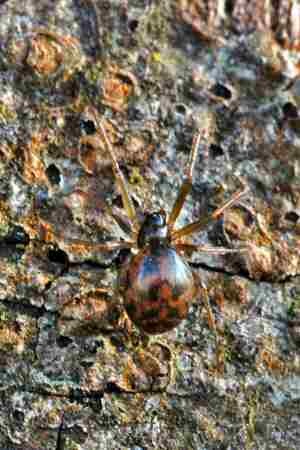 The only European sort makes very fine vertical webs on the bark of trees. 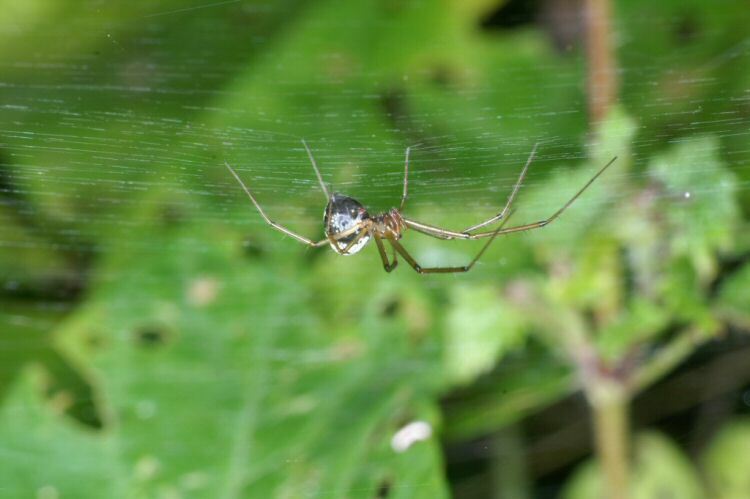 These webs are about 40 * 60 mm large. 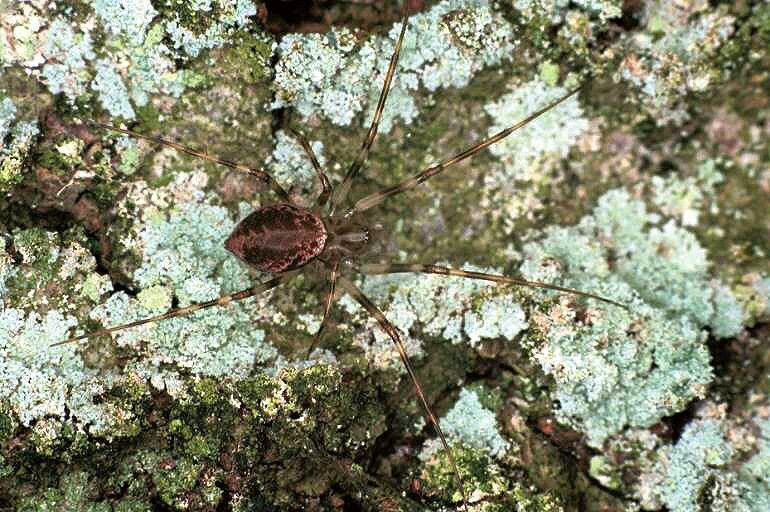 Drapetisca socialis is variable in colour and is characterized by its pink colour. 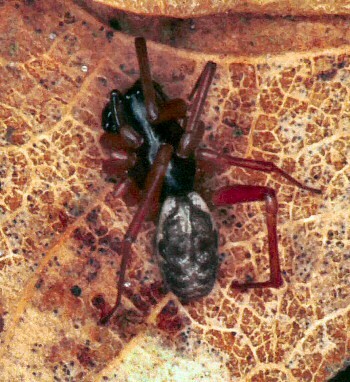 In industrialized areas the abdomen may be blacker. 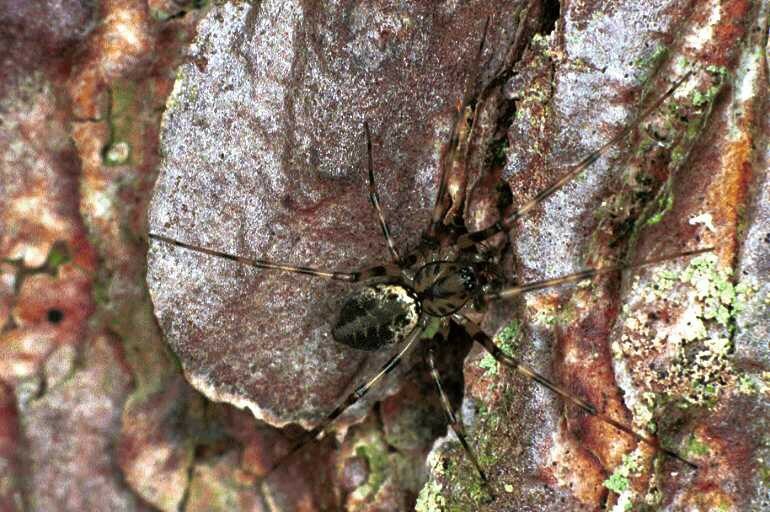 It can be found on the barks of especially pines and beeches. 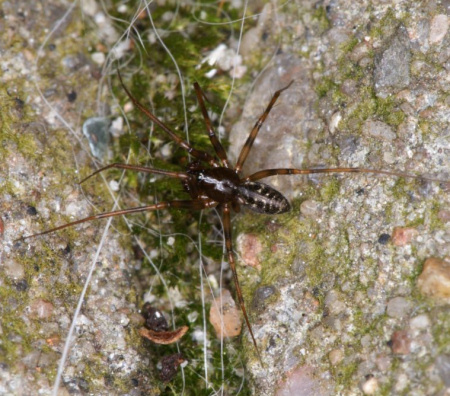 The only species in Northern-Europe in this genus. 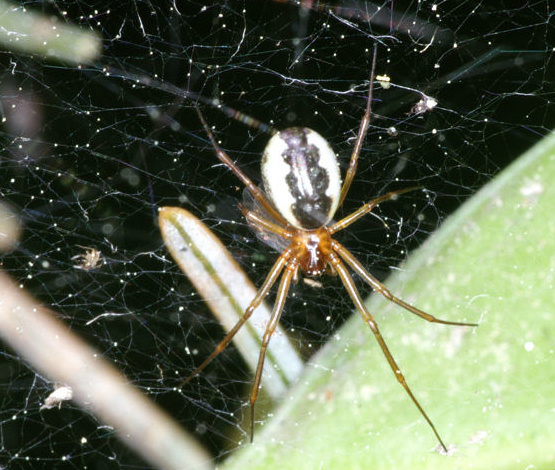 The spider spins her horizontal sheet web on low vegetation. 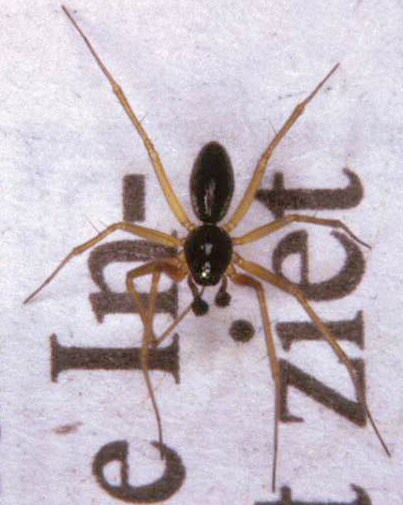 Characteristic for the female spider in this genus is the high abdomen compared to the length. 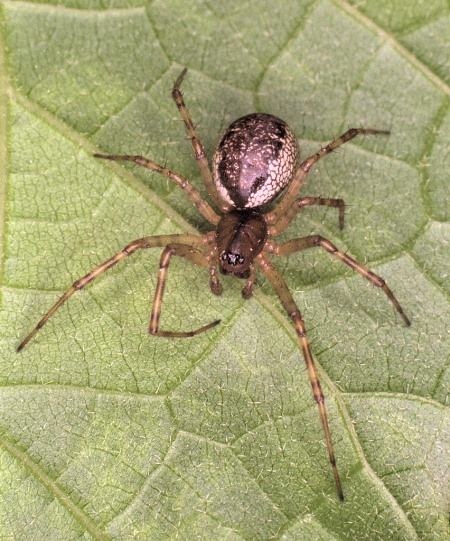 Males are similar in appearance but their abdomen is less high. 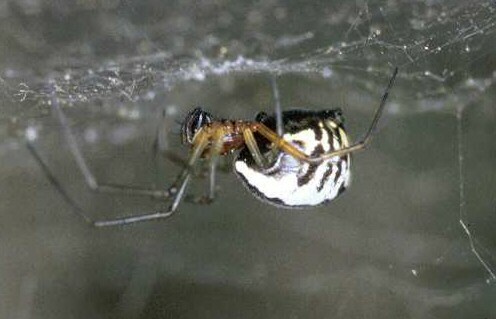 The spiders measures 4-5 mm. 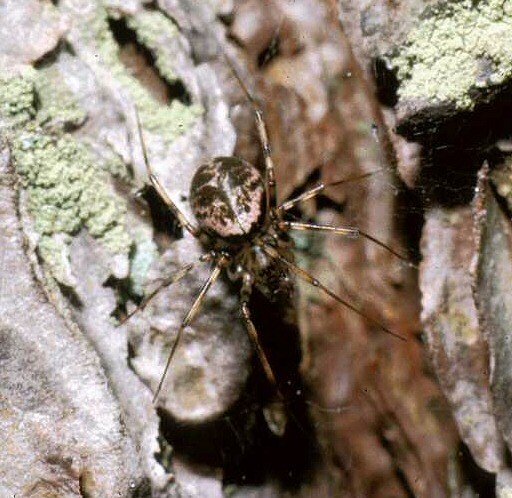 This is a common sheet web spider and is easily spotted because this is one of the larger spiders in this family. 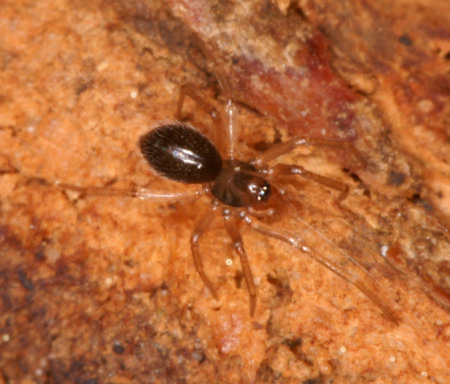 Male and female spider are around 5 mm large. 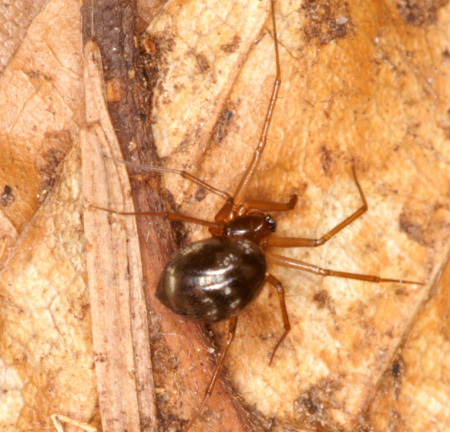 the back of the spider resembles Microlinyphia pusilla and Neriene peltata. 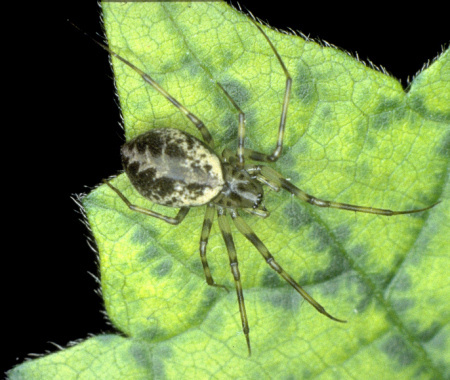 Characteristic for this spider are the two or three yellow stripes on her sides and the fact the spider has an abdomen that, when viewed from the side, is higher at the end. 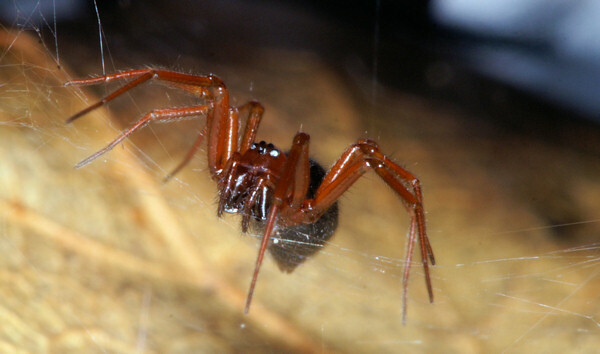 In the USA a related spider is called 'bowl and doily spider'. 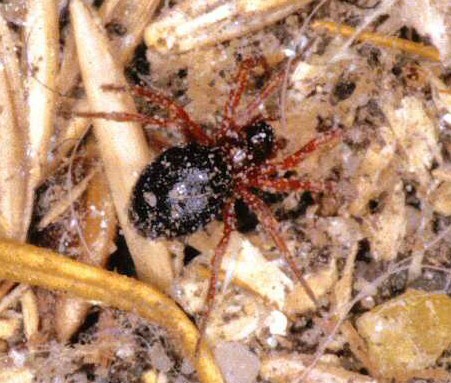 A small spider of 3-4 mm that is already active in winter when temperatures rise. 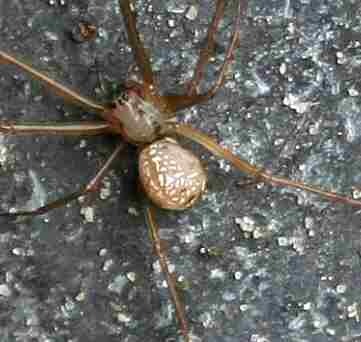 With around fifty species this is a large genus. 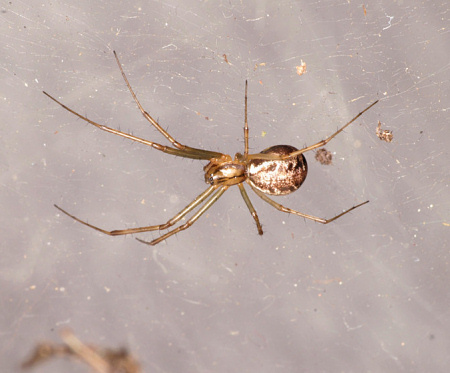 Some of these spiders are very common. 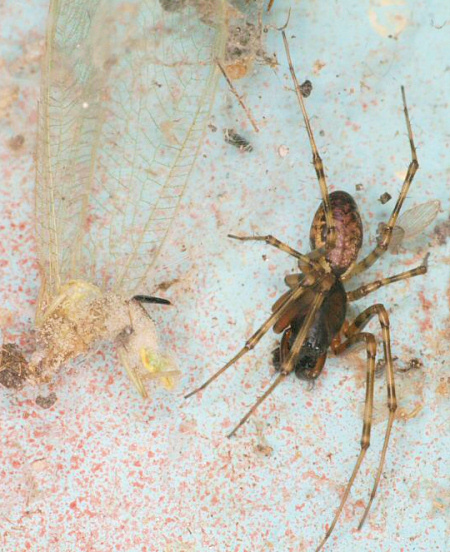 The abdomen tends to be rather pointed at the end. 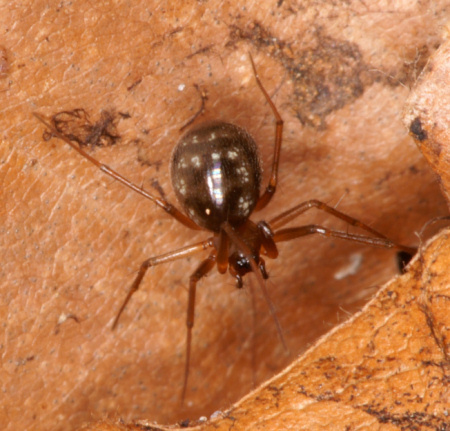 All members are very small with a length between 1.5 and 5 mm. 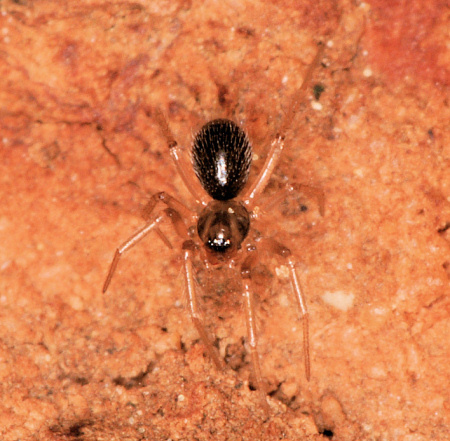 The genera Linyphia, Microlinyphia, Neriene and Frontinellina construct a web with a horizontal mat under which the spider hangs upside down. The sheet hangs on randomly spinned vertical threads. 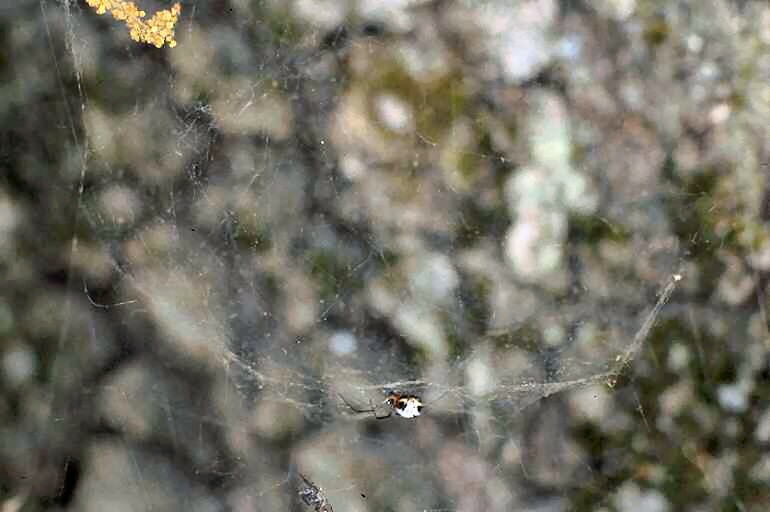 Insect flying against these threads tumble down on the horizontal sheet web and are caught by the spider.